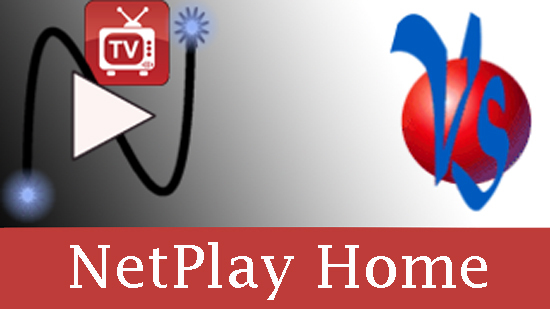 NetPlay AV allows you to distribute live content protected HDMI content across your standard Ethernet home network. This next generation technology will completely replace HDMI matrix switching, delivering new features, flexibility, and an integrated user experience. 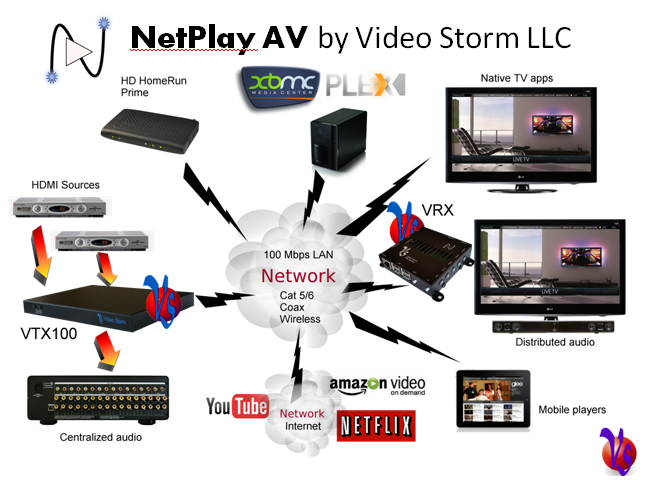 Video Storm Netplay Video makes your installation headache free and give your customers access to more live, stored, and cloud media than anyone else. 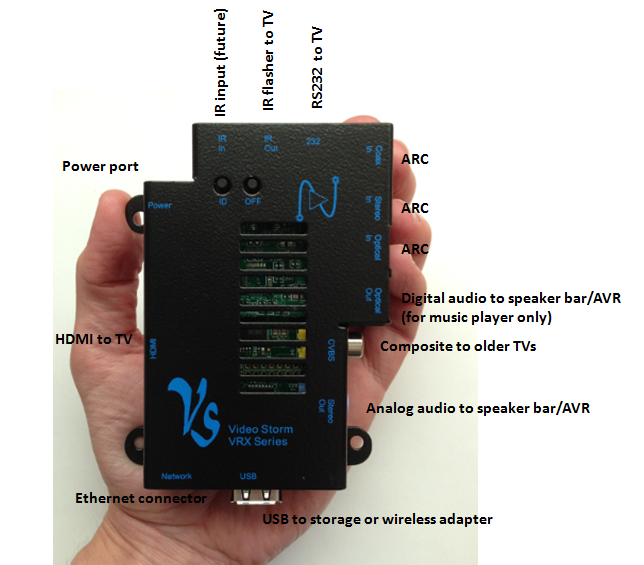 VRX series is the TV mounted unit in our Netplay video and audio live streaming solutions. One VRX020 is used for each TV in the system. Thinking about installing a HDMI/HDBaseT matrix switch? Click here to see why Netplay AV is better. Live HDMI video streaming via any standard IP network. Videos showing basic and advanced features of our NetPlay distribution system. Ethernet control features allow external control of matrix switches, your TV, and Kodi by supported control systems or mobile apps. Full integration in Control4, RTI, and Savant. VRX020 uses Kodi as its media player engine. We believe that Kodi is the most powerful, flexible, and universally compatible player available. Here is a very abbreviated list of some of the most important features. The best way to explain what it can do is just to show you. Video demonstrations of Kodi. VRX020 features a standard USB host port for expandability. Supported modules include wireless Ethernet adapters and external storage. 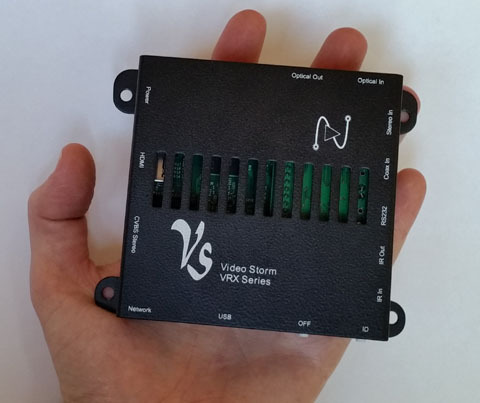 Video Storm offers affordable customization options on VRX020. Customization options include different/redesigned enclosures, customized software, and customized control options. Please contact sales for details. Small enough to easily mount behind TV: 3.7" x 3.5" x 1"
Please also visit our VRX040 page for 4K video distribution.